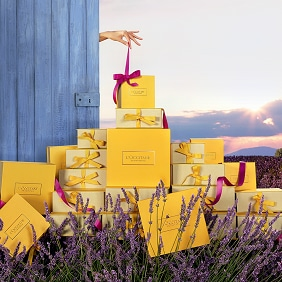 We at L'Occitane offer the finest gifts in a delightful wrapping, at any budget for any event. Think of L'Occitane when you are planing corporate events, destination events, employees gifts, clients gifts & holidays gifts. Gifts for women, gifts for men, unisex gifts and unique & fragrant gifts for home. Our exclusive gift and indulging beauty products will carry you to the land of Provence. We would be delighted to help meet all your corporate gift requirements. Please fill in the form below and soon we will call you back.